Anything else you'd like to share? (Interesting facts about yourself, other games you play frequently, etc. ):i Study in second grade at high school , pass second grade with 11/12, i like very much the informatic and i like the computers. How well can you understand English and speak it? Also what is your threat if you do not mind me asking? One last thing actually, I believe the minimum age is 16 years of age but I'm not certain. I'll let an officer come on and decide. Good luck! Hambosauce wrote: How well can you understand English and speak it? Also what is your threat if you do not mind me asking? One last thing actually, I believe the minimum age is 16 years of age but I'm not certain. I'll let an officer come on and decide. Good luck! Yeah i know but for why the minimum age is 16? 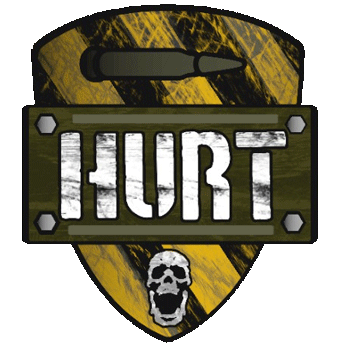 Thank you for interest in joining HURT, unfortunately, a strong grasp of the English language is required in this clan, and coupled by your age, I don't think you would fit in our clan, therefore, I am going to have to decline your application. Nyxx wrote: Thank you for interest in joining HURT, unfortunately, a strong grasp of the English language is required in this clan, and coupled by your age, I don't think you would fit in our clan, therefore, I am going to have to decline your application.